With the ever-increasing possibility for the ordinary woman becoming a victim of a violent crime the importance of taking precautionary measures to make sure one is able to either prevent themselves from being victimized or if indeed the unfortunate event happens where a woman has to fight off an attacker one wants at least have a gleam of hope that they will be able to so and hopefully survive and walk away unscathed. A study done by the World Health Organization (WHO) finds that 35.6% of women worldwide at some point in their lifetime will experience either sexual or physical violence, this means more a third of women worldwide are at risk of being a victim of violence of some sort. These staggering figures are both shocking and shameful none the less they are the reality of our existence in the world that we have inherited. more shocking is fact that out of the 35.6% cases of violence against women 42% of those victims sustain injuries so great they will require medical assistance meaning a visit to see professional healthcare practitioner. 40% of these women who were victims of violent crimes irrespective of their country of residence, failed to seek help of any sort. Only a dismal 10% sought assistance from a law enforcement personnel. Between 2005 – 2014 only 89 countries out the 196 countries on our planet collected data regarding violent crime against women. Violent crime against women and the need for women to protect themselves is no longer a “women issue” it is a world issue that needs urgent and immediate attention. this requires both men and women to work together to completely annihilate this unjust suffering that has gone on long enough. No woman should have to fear for her safely at anytime but due to the unfortunate reality of our surroundings women have been forced to arm themselves and to always be aware of those around them. There are a few things that women can do fend off attackers and protect themselves. a lot of women worldwide have reported using things such as Pepper Spray, Stunt Guns to name a few, as means of self-defense. Paper Spray is an inflammatory agent that is made up of Oleo resin Capsicum a chemical compound that is irritating to the eyes used as means of personal self-defense pepper spray is also used by law enforcement in riot control and crowd control cases. The use of Pepper causes temporary blindness, coughing, difficulty breathing and a runny nose. Blindness caused by Pepper Spray could last anything from 15 to 30 minutes. Pepper Spray contact with bare human skin can cause a burning sensation that could last 45 to 60 minutes in more intense cases pepper spray use can lead to excruciating upper body spasms. 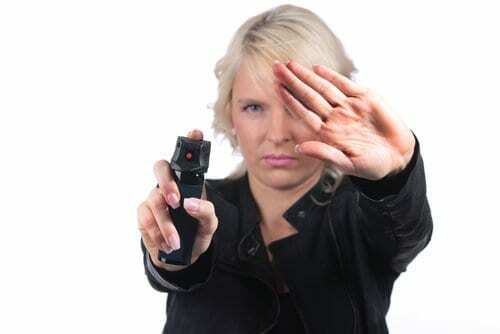 Pepper Spray is not considered a lethal agent even though there have been some rare cases where death occurred following the use of Pepper Spray, leading to the agent being named a contributing factor in the deaths.